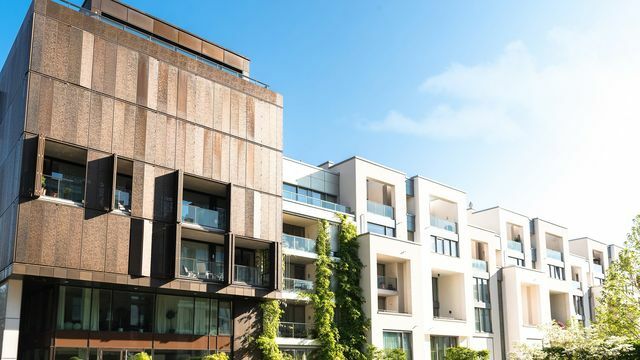 If you’re looking to buy a home that’s part of a condo complex or homeowners association, you’re going to have to pay fees—either monthly or yearly—that go toward the upkeep of common areas such as the parking lot or swimming pool. And these fees can be significant, amounting to $200 to $300 a month for even the most basic amenities. But consider this: Who’s to say those fees won’t rise once you join the club? While no one has a crystal ball into a condo or HOA’s future, you can get good clues to what might likely happen by peering into the past. Namely, the group’s financial documents. As a prospective home buyer, you will be given a period of time (typically three to 10 days) to review all of these financials—and yeah, it can be piles upon piles of paperwork. So in case your eyes glaze over at the mere thought, let’s point you to the crucial areas that are well worth scrutinizing, and what they mean in terms of the fees in your future. Generally speaking, the cash reserves listed on a board’s current financial statement is how much money it has lying around, liquid and ready to come to residents’ rescue in the event of sudden problems. It’s like a rainy day fund to fix a broken elevator, or to hire professional snow plowing in the wake of a huge storm. So how large should this cash reserve be? “There should be enough to cover at least three to six months of the expenses, which should be prominently listed in these documents,” says Roger Erickson, a licensed broker with Douglas Elliman Real Estate in New York City. Think about it: Chances are you have some money banked in case of an emergency; you want your board to be similarly prepared. If it isn’t, it might have to issue an assessment—that’s a temporary hike in your fees—every time something breaks. Large cash reserves ward that off. Take a good look at the building’s “receivables,” which refers to the money that residents owe for their common charges. “Ideally you don’t want that number to be higher than 10% of the annual fees,” explains Erickson. “Otherwise it might mean that some [residents] are not paying their fair share or are behind in their payments.” And that will not only affect the board’s cash flow, it can also be an underlying symptom of bigger problems (e.g., an economic downturn in that community or general dissatisfaction with how that condo complex or HOA is run). Also check for recent purchases. These can actually spell good news for you! “If [the building] has had big expenses for things like a new roof or plumbing, that means new buyers won’t get hit for those costs,” says Erickson. That said, you’ll want to make sure those expenses make sense to you. Buying a new boiler is important; but not everyone might feel the same way about burning through the reserve fund for something more arbitrary like having the hallways repainted a trendy new color. In the financial statement’s “accounts payable” section, you’ll spot money that the HOA or condo complex owes and will pay soon to cover taxes, repairs, and the like. Again, that should be no more than 10% of the board’s annual expenses. Even if you’re not a numbers person, you can still appreciate the “notes” section provided on every financial statement. You also want to check out the minutes of past meetings. Beyond checking that minutes exist, here’s what to look for, according to Schindlinger: Good attendance at each meeting, an established quorum, and real discussion and deliberation taking place. In other words, it shouldn’t be just Mrs. Smarmypants bullying everyone to hire her interior designer daughter to decorate the lobby and threatening to evict anyone who objects. Because dictatorships, after all, are rarely good news for a board’s financial health. What do you do if you spot something strange? If you do have some serious misgivings, bring them up during your board interview or by contacting board representatives directly. From there, if you find their explanation even more worrisome, you may want to consult a real estate attorney. And it’s entirely within your rights to back out on your offer and keep your deposit provided you’re within deadline. Sure, it would be a shame to move on considering you’ve gotten this far, but a condo building or HOA with weak or worrisome financials could end up costing you way more trouble than it’s worth, and make it hard for you to sell the place later. Think about it: When you’re buying a home, everyone scrutinizes your finances to the nth degree. Shouldn’t you take the same precautions? Stephanie Booth’s stories have appeared in magazines such as Real Simple, Cosmopolitan, Glamour, and Psychology Today.